Going to discover the world is a rather interesting adventure that can be done in different ways. This is what a “backpacker” does, for example, he travels the world in a very particular way and for a specific purpose: adventure. However, not everyone can become one as some attitudes need to be kept. What is a backpacker and how to become one? Find the best tips in this article. The world is a very vast space that offers everyone the opportunity to discover new things on their “environment” side or more on the “population” side. On the one hand, this is what the adventure of a backpacker comes down to. Also called “backpacker”, “globe-trotter” or often known as “bourlinger”, a backpacker is a person who runs the world in a very adventurous and autonomous way, usually with a very limited budget. Literally, backpacker is an English word meaning “backpack carrier”. With this simple definition, we immediately have the image of an adventurer and a traveler in mind. A backpacker often gives advice but may also ask for it in certain circumstances. In addition, he tells his good but also his experiences less pleasant. How to become a good backpacker? Indeed, we must keep a certain attitude when we are backpacker. The first thing to know is that a backpacker likes to meet other travelers like him and does not miss any opportunity to do so. Then he has to be open-minded. 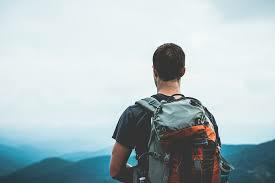 Given that he travels a lot, most often in places that are foreign to him, a backpacker must have not only a great sense of help but also be very sociable. Then, we must be respectful of what we meet and what surrounds us. One of the characters that any adventurer must have is courage. A person who is more afraid than self-confident would not survive alone in nature. Finally, a good backpacker always thinks of saving time or money.